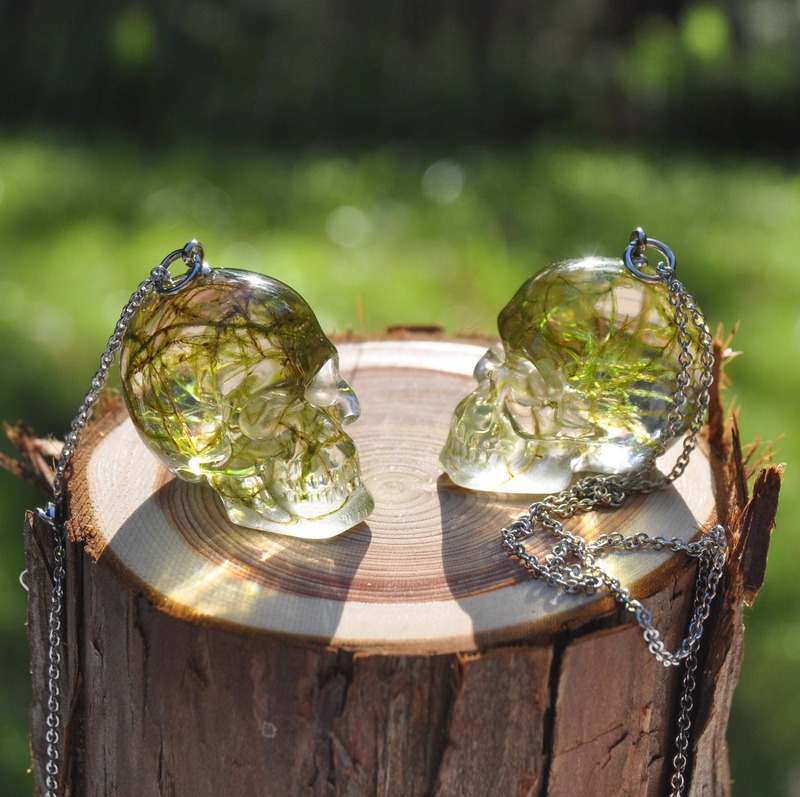 These rather unique skull necklaces bring together life and death; life in the form of green, undying moss and death in the form of a crystal skull. When the skulls are held up to the light they almost seem to glow, making them that bit more magical, and perfect for anyone looking to add a Gothic touch to their attire. 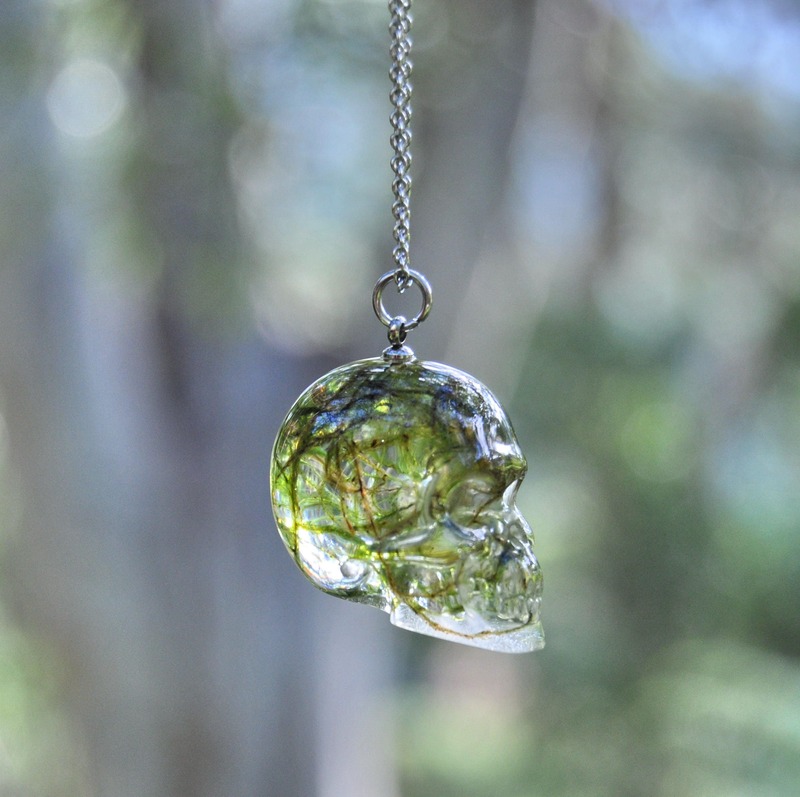 Each skull has been lovingly hand made from natural moss and crystal clear eco resin. 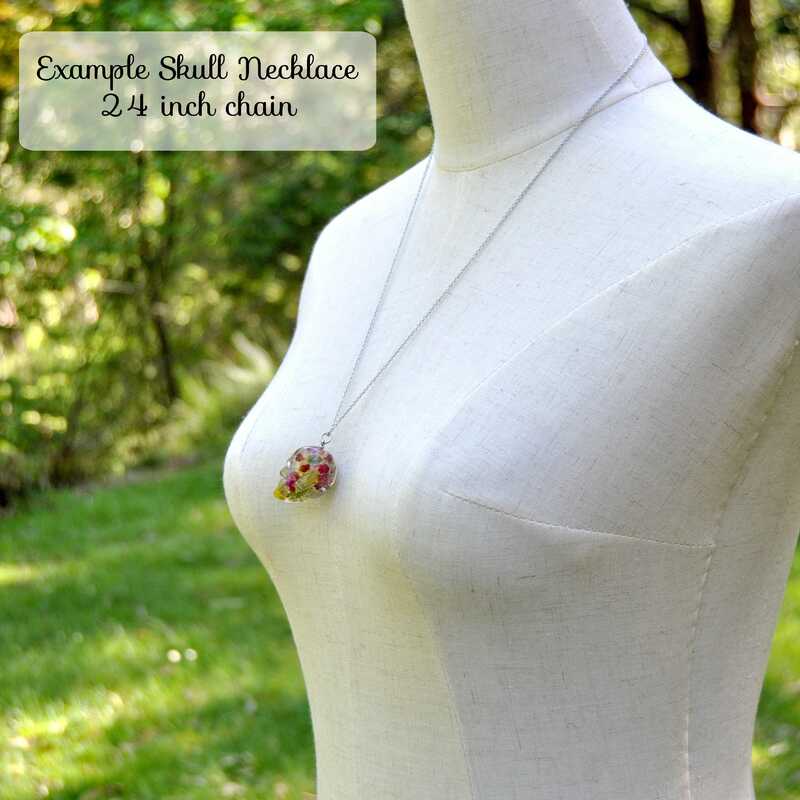 Each comes finished with stainless steel elements and strung on a surgical grade, stainless steel chain (choose from 24 or 30 inches). 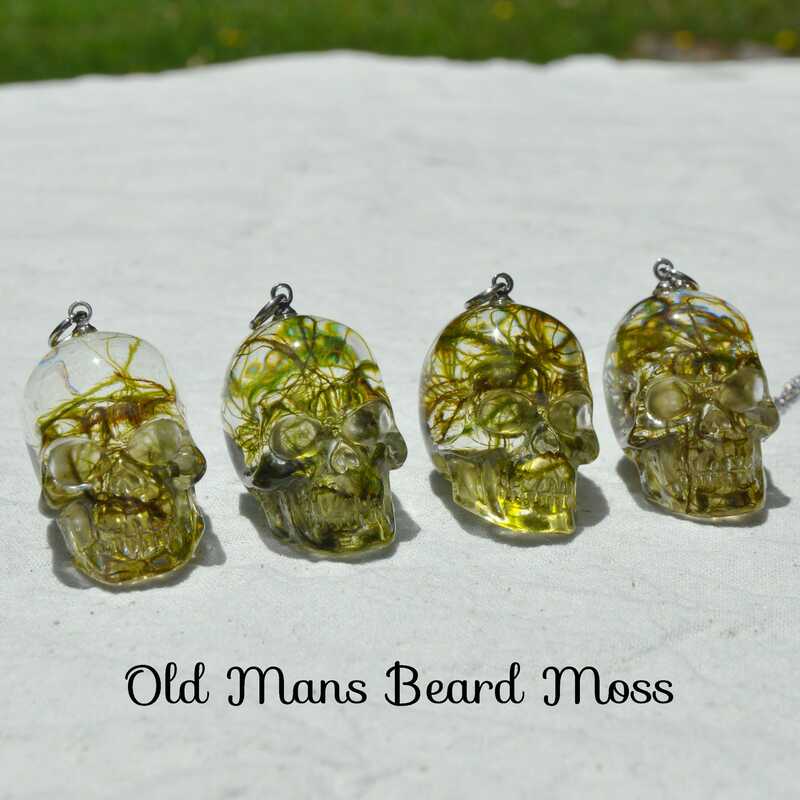 >> Old Mans Beard Moss: a light green moss with thin tendrils and some brown-yellow tones. 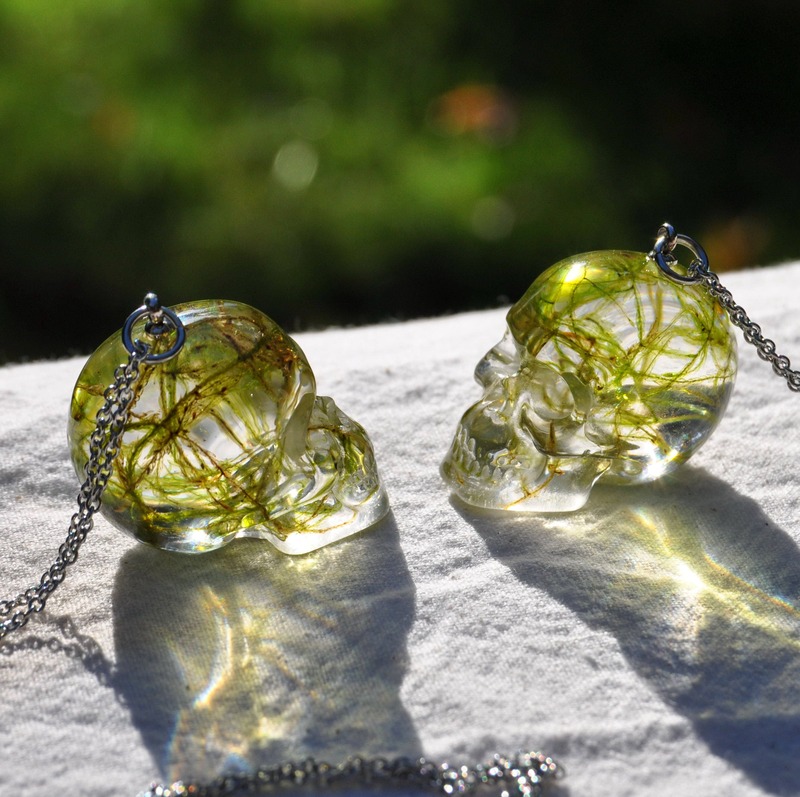 Less moss is used in these skulls, and individual moss tendrils are more discernible. 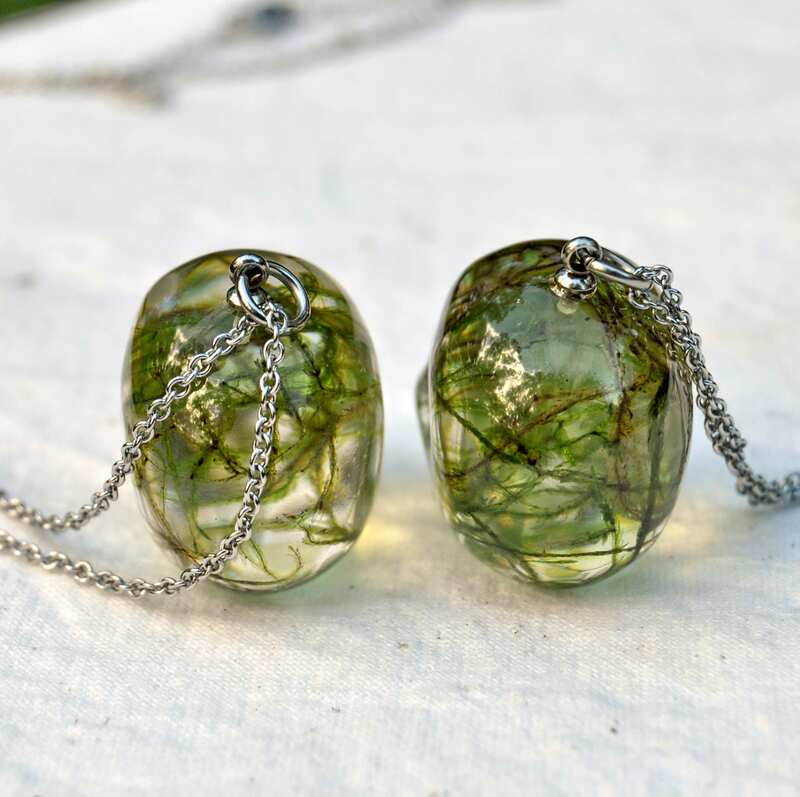 >> Feather Moss: a darker, emerald green moss with thicker 'feathers' of moss. 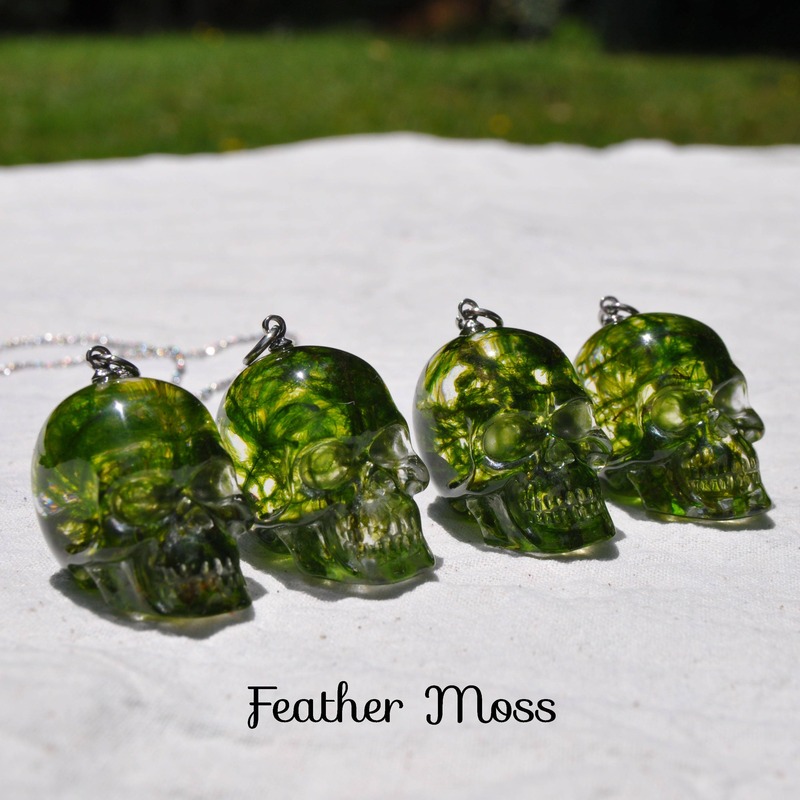 More moss is used in these skulls, and they appear as a dark green in the shade. 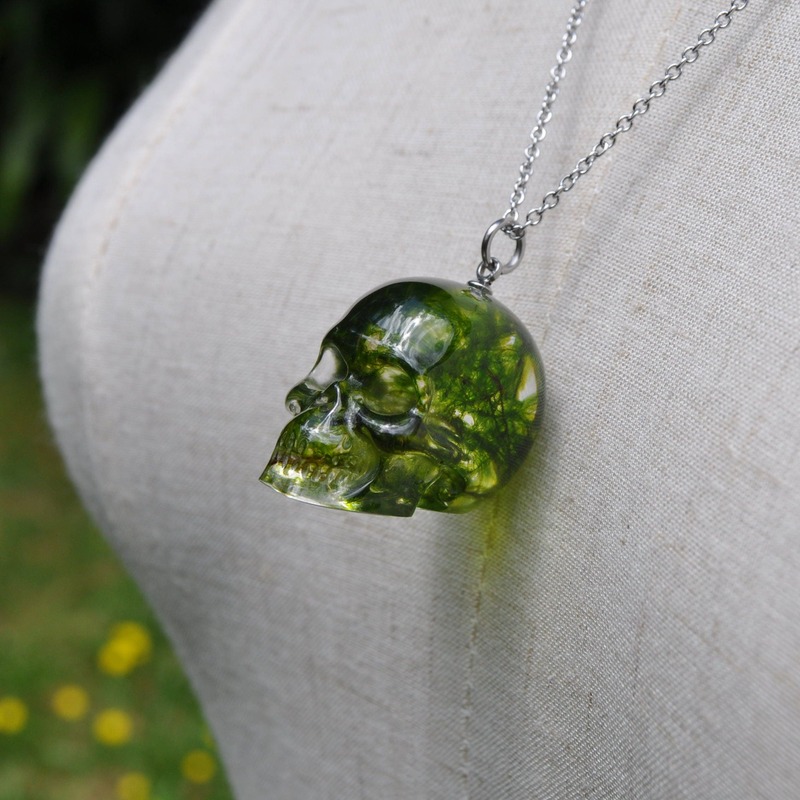 Skulls measure approximately 29 mm front to back, 19 mm wide and 23 mm tall. 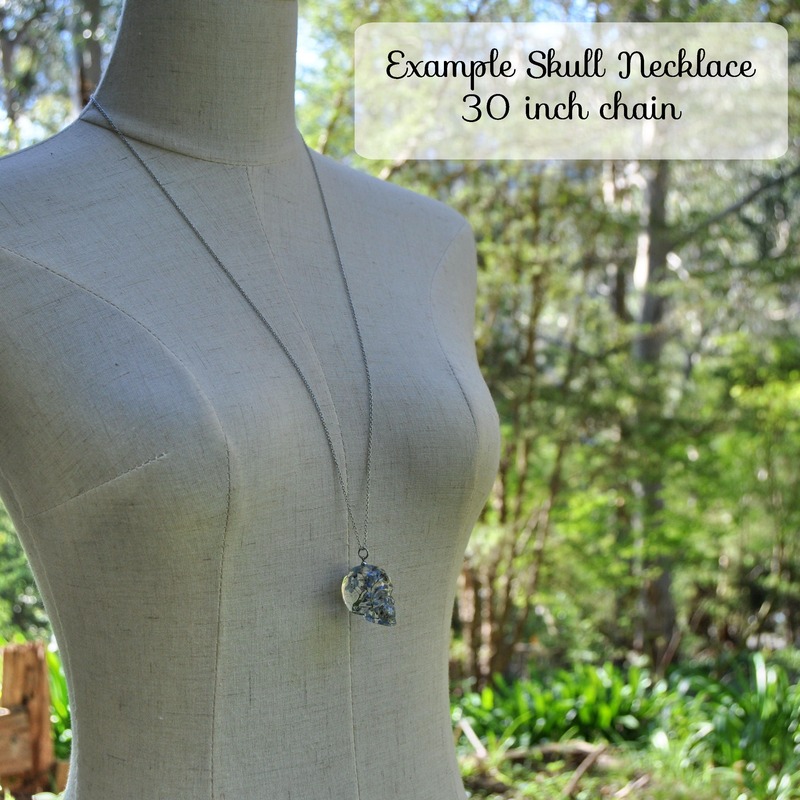 You will receive one skull necklace. Please bear in mind that each piece in this shop is handmade. Although I do my best to remove any flaws, there may still be minor bumps, bubbles or imperfections present.